Another gorgeously gentle cleanser to add to my ever-growing collection. 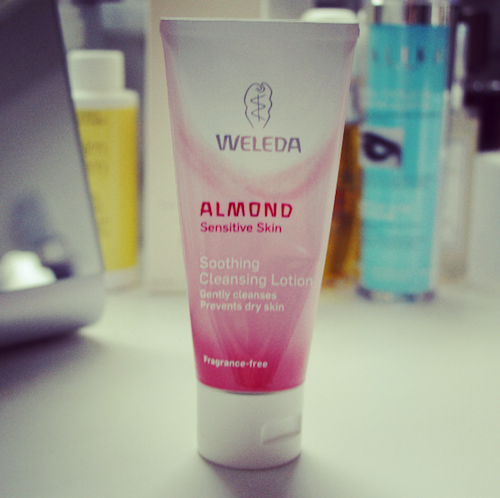 This one’s from Weleda – the Almond Soothing Cleansing Lotion for Sensitive Skin. It’s incredibly soft yet does a good job of removing makeup – though you’ll want a dedicated eye makeup remover if you’re wearing lots of mascara or kohl. One of the brilliant things about this cleanser is the packaging – just a simple squeezy tube that makes it ideal for constant travellers. To see other cleanser reviews click here. Next Post Chanel’s Summer Collection: L’Été Papillon.